The Seattle Art Museum is free for everyone on the first Thursday of the month. It’s also free for teens with ID on the second Friday of every month from 5-9 pm. Oh, and don’t forget that SAM’s Olympic Sculpture Park is always free! 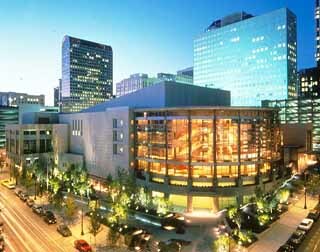 The Seattle Symphony’s Soundbridge Music Discovery Center is free from 12-4 pm on Fridays. You can learn about the science behind sound, play Wii Music, listen to the collection of over 500 recordings by famous composers, and more. The Northwest African-American Museum is free on the first and second Thursdays of every month. The museum just opened a few years ago in the newly renovated Colman School building, so be sure to check it out! The Seattle Asian Art Museum in Volunteer Park is free for all on the first Thursday of every month. It’s also free for families on the first Saturday of the month, and on the Second Friday of every month from 5-9 pm as part of the Capitol Hill art walk. 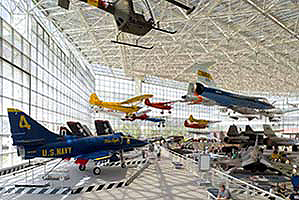 The Museum of Flight near Boeing Field is free from 5-9 pm on the first Thursday of every month. Upcoming exhibits include Style in the Aisle, a history of flight attendants in the U.S., and Chasing Horizons, the story of women in aerospace. 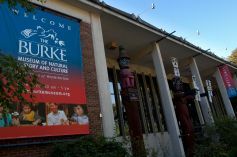 The Henry Art Gallery and the Burke Museum of Natural History and Culture at the University of Washington are both free to the public on the first Thursday of every month. 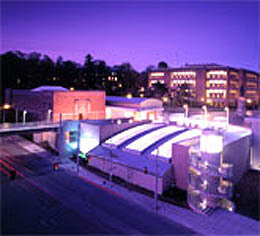 Henry Art Gallery is always free for high school and college students with ID. The Frye Art Museum, which features European and American paintings from the 19th and 20th centuries, is always free to the public. In fact, it was recently named one of the top ten free museums in the country by the Travel Channel! Okay, okay, so it’s technically not a museum, but the downtown Central Library is just as much fun as a museum, and it’s always free! You can admire public artwork, take in the amazing view from the 10th floor, go on an architectural tour of the library, sip a coffee from the Chocolati cart, peruse the gift shop, and of course browse the collection of over one million materials. What could be better? This entry was posted in Art, Free Stuff, Teen Powered and tagged Art, museums, Music, Summer fun, written by teens on July 16, 2010 by Teen Blogger.